647 miles of Texas waterways cleaned. 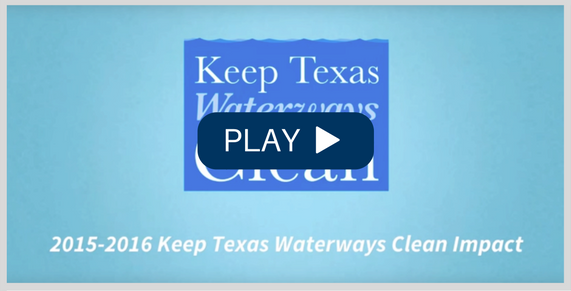 With funding from H-E-B and Central Market, the Keep Texas Waterways Cleanprogram provides supplies and support for waterway cleanup events in communities across Texas. Thank you to the volunteers who participated from September 2015-August 2016. Take a look at the impact we've made on waterways across the state! Volunteer and make an impact in your community! Donate to KTB and help us continue to make Texas the cleanest, most beautiful state in the nation. 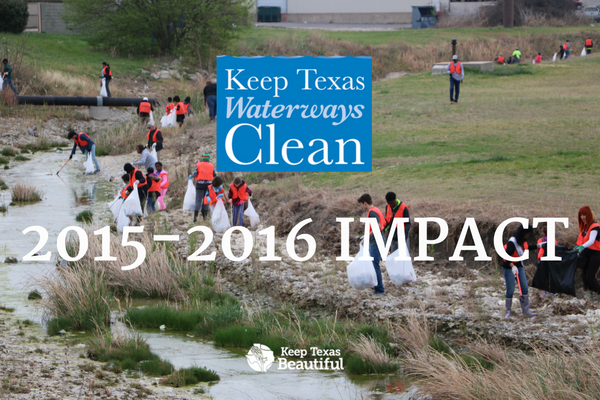 Keep Texas Beautiful educates and engages Texans to take responsibility for improving their community environment. Our vision is to make Texas the cleanest, most beautiful state in the nation.